Prime Minister Shinzo Abe said Tuesday he will take responsibility should his ruling Liberal Democratic Party and junior coalition partner Komeito fail to achieve his self-imposed goal of securing more than a majority in July’s Upper House election. 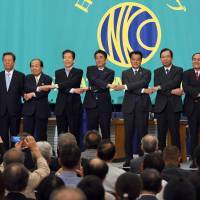 In a public debate with other party leaders at the Japan National Press Club in Tokyo, Abe renewed his pledge for the LDP-Komeito coalition to win 61 of the 121 seats up for grabs in the crucial summer poll. “As both prime minister and leader of the LDP, I will make an all-out effort toward this goal,” Abe said. Asked what consequences will arise if the coalition fails to reach the 61-seat goal, he said: “Of course, the goal involves responsibility being taken.” He didn’t elaborate. 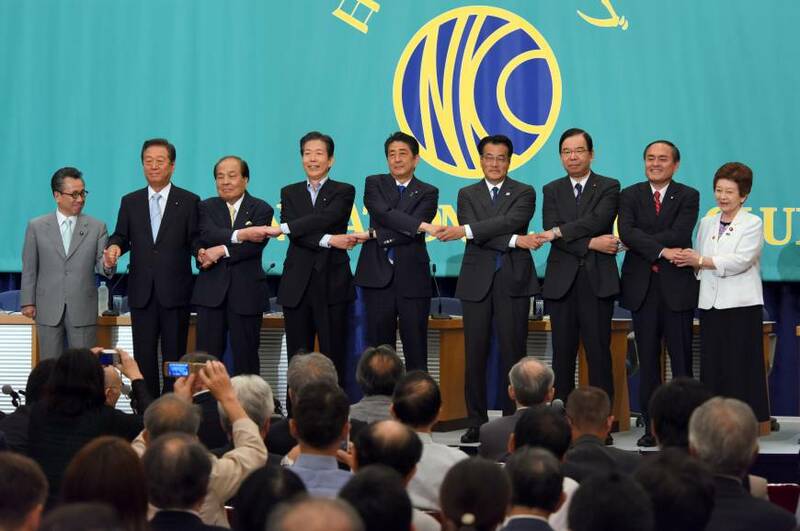 Abe’s remark nonetheless differed from the more diplomatic stances taken by his political allies on the question of whether Abe should quit if he fails. In interviews with the media last week, both LDP Secretary-General Sadakazu Tanigaki and Komeito leader Natsuo Yamaguchi avoided clarifying what they think Abe should do in that eventuality and only repeated they will do their best to win. “But we will kick-start its engine and make sure the public will feel the economy has improved,” he said. Backpedaling from a campaign pledge of two years ago, Abe was forced to make the tough decision earlier this month to delay a scheduled sales tax hike for a second time because the economy didn’t recover as much as he thought it would. He and Yamaguchi were also gung-ho about assailing Katsuya Okada, head of the main opposition Democratic Party, over what they called a flawed electoral tie-up with the radical Japanese Communist Party. The DP and JCP are fielding joint candidates for the election to oust Abe. But while the JCP is eager to deepen the tie-up into a coalition government, Okada has steadfastly ruled out that possibility, saying some of the JCP’s extreme leftist policies — such as abolishing the Japan-U.S. security treaty — are unacceptable. The ruling camp sneers at the discrepancies. “Forming a coalition government with the JCP is impossible at this point,” Okada repeated.